We wanted to find a tour that positions VOICES in the artistic esteem it deserves and we have succeeded! We have been invited to be part of a international choral concert series in London. Two music agencies love what we do and have arranged for concerts in Hamburg and Berlin, and in Aix-en-Provence in France. New Zealand fan and renowned conductor Simon Halsey has asked us to join his choir in Barcelona for a concert at the Palau de la Música Catalana, a venue that was declared a UNESCO World Heritage Site. We have also been invited by the people of Le Quesnoy in France to commemorate the centenary of the World War I Armistice Day together. Their village was liberated by New Zealand soldiers in the final two weeks of WWI. We commissioned a special work for this occasion: THE UNUSUAL SILENCE by Victoria Kelly. 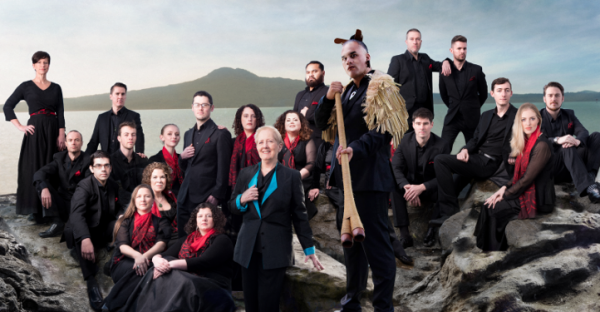 Inspired by letters from Kiwi soldiers and their families, this piece of music tells an important part of our history. This tour is our chance to take VOICES to important international stages to tell our unique New Zealand stories and share our music. Your donation will be invested 100% towards making this tour a reality. You can donate directly through our website and put your support behind your favourite tour destination below. All donations over $5 are tax deductible. We are very, very grateful for your support.